CALGARY, Oct. 25, 2018 /CNW/ – Vermilion Energy Inc. (“Vermilion”, “We”, “Our”, “Us” or the “Company”) (TSX, NYSE: VET) is pleased to report operating and condensed financial results for the three and nine months ended September 30, 2018. The unaudited financial statements and management discussion and analysis for the three and nine months ended September 30, 2018, will be available on the System for Electronic Document Analysis and Retrieval (“SEDAR”) at www.sedar.com, on EDGAR at www.sec.gov/edgar.shtml, and on Vermilion’s website at www.vermilionenergy.com. Fund flows from operations (“FFO”) for Q3 2018 was $261 million ($1.71/basic share(1)), an increase of 34% from the prior quarter (18% on a per share basis) driven by higher production volumes and higher commodity prices, partially offset by hedging losses. Year-over-year, FFO increased 99% as compared to Q3 2017 on higher production and commodity prices, partially offset by hedging losses. Q3 2018 production increased by 19% from the prior quarter to 96,222 boe/d. The increase was primarily due to the full quarter contribution from the Spartan acquisition and new production added from our 2018 drilling program. In Canada, production averaged 57,397 boe/d in Q3 2018, representing a 31% increase from the previous quarter primarily due to the Spartan acquisition. In the United States, Q3 2018 production averaged 2,979 boe/d, an increase of 280% from the prior quarter, due to the production associated with an acquisition we completed during the quarter and the completion of our first half 2018 drilling program. The acquired assets are located in the Powder River Basin in Campbell County, Wyoming, approximately 40 miles (65 kilometres) northwest of Vermilion’s existing operations. The assets include approximately 55,700 net acres of land (approximately 96% working interest) and approximately 2,500 boe/d (63% oil and NGLs) of low decline production. Vermilion has identified 93 future drilling locations on this land targeting light oil in the Turner and Parkman tight sandstones. In the Netherlands, Q3 2018 production averaged 7,479 boe/d, an increase of 2% from the prior quarter. In mid-September, we brought the Eesveen-02 well (60% working interest) on production. The well is currently flowing at a restricted rate of 10 mmcf/d net, pursuant to the conditions of the permit, and is expected to produce at this rate through 2019. We continue to advance future drilling permits in preparation for an accelerated drilling program in future years. In Ireland, production from Corrib averaged 51 mmcf/d (8,563 boe/d) in Q3 2018, a 9% decrease from the prior quarter primarily due to a planned plant turnaround, which reduced production by approximately 450 boe/d net to Vermilion. Natural declines accounted for approximately 400 boe/d of the quarter-over-quarter decrease which is consistent with our numerical reservoir simulation, history-matched to production performance to-date. We continue to focus on activities associated with the transition of ownership and operatorship from Shell to Canada Pension Plan Investment Board (“CPPIB”) and Vermilion, and anticipate receiving final approvals from the necessary authorities and closing the transaction before the end of 2018. As noted in our Q2 2018 release, although the longer than anticipated closing timeline will have a modest impact on our booked production, Vermilion will still benefit from all interim period cash flows from January 1, 2017 to closing as a reduction of purchase price. In Central and Eastern Europe, first gas production commenced from our Hungarian Mh-Ny-07 natural gas well (100% working interest) in the South Battonya concession. The well was brought on production mid-August, 2018 and contributed 195 boe/d to our Q3 2018 results, and is currently producing at a rate of 5.3 mmcf/d (880 boe/d). In Australia, production averaged 4,704 bbl/d in Q3 2018, representing a 14% increase from the previous quarter primarily due to reinstatement of production following well workover activity that was successfully completed in Q2 2018. Another key well workover was completed at the end of Q3 2018, which should restore additional production during Q4 2018. We have secured all necessary third party contracts and regulatory permits associated with the Q4 2018 two-well drilling program and expect the rig to arrive by the end of October. Our planned two-well drilling program should be completed in early January 2019. Our Board of Directors has approved a 2019 E&D capital budget of $530 million, with associated production guidance of 101,000 to 106,000 boe/d. The midpoint of our 2019 production guidance reflects year-over-year growth of approximately 18%, or 7% on a per share basis, as compared to 2018. The 2019 program reflects a full year of development on the Spartan assets acquired this year, additional capital associated with the recently acquired assets in the Powder River Basin, and a significantly expanded drilling program in Europe. Vermilion received a top quartile ranking for 2018 for our industry sector in RobecoSAM’s annual Corporate Sustainability Assessment (“CSA”). The CSA analyzes sustainability performance across economic, environmental, governance and social criteria, and is the basis of the Dow Jones Sustainability Indices. Further demonstrating Vermilion’s commitment in this critical aspect of our business, our Board of Directors has established a Sustainability Committee to provide oversight with respect to sustainability policy and performance. (1) Non-GAAP Financial Measure. Please see the “Non-GAAP Financial Measures” section of Management’s Discussion and Analysis. (1) The above table includes non-GAAP financial measures which may not be comparable to other companies. Please see the “NON-GAAP FINANCIAL MEASURES” section of Management’s Discussion and Analysis. We delivered record quarterly production of 96,222 boe/d in Q3 2018, marking our first full quarter with the integration of the Spartan assets and our first quarter with production and cash flow contribution from our Central and Eastern European (“CEE”) business unit. We also completed another acquisition in the quarter, expanding our land base in the Turner Sand fairway. We expect both of these acquisitions and ongoing development in our CEE business unit to contribute to our long-term growth profile, while generating free cash to support our growth-and-income capital markets model. Our Q3 2018 FFO increased 34% quarter-over-quarter to $261 million, which is twice the amount we generated in Q3 2017. The Q3 2018 results included a $37 million realized hedging loss largely driven by the recent strength in global oil prices and European natural gas prices. On a year-to date basis, we have generated $616 million in FFO, which includes the impact of an $83 million realized hedging loss. Our Board of Directors has approved a 2019 capital budget of $530 million with associated production guidance of 101,000 to 106,000 boe/d. The midpoint of this guidance range represents year-over-year production growth of 18%, or 7% on a per share basis. Including our projected 2018 results, Vermilion will have delivered compounded average production-per-share-growth of 9% over the past 5 years, coming primarily from high margin barrels, as the majority of our production receives premium or advantaged pricing relative to our peers. The oil and gas produced from our international assets is indexed to Brent oil and European gas benchmarks, both of which trade at significant premiums to their North American counterparts. In turn, the vast majority of our North American oil is produced in areas that have relative pricing advantages to most Canadian oil streams, enhancing netbacks and free cash flow generation. With our growing production base, continued discipline in capital spending, and the current strength in commodity prices, our free cash flow profile has never been better. Based on the mid-point of our 2019 production guidance and the current commodity strip at October 15, 2018, we expect to more than fully fund our $530 million capital program and annual dividend, resulting in a total payout ratio of approximately 82% and over $200 million in surplus cash beyond our needs for our capital program and dividends. As part of our annual budgeting process and ongoing strategic planning for the company, we continuously update our long-range development plans. On this note, we have recently updated the investor presentation on our website to reflect our longer-term drilling plans in the Netherlands and Germany. In Germany, we have identified several future exploration prospects (working interests from 46% to 100%) which we believe may range in size from 300 Bcf to over 1 Tcf of recoverable gas (unrisked) if successful. We plan to drill these prospects over the next five years. In the Netherlands, we have outlined a preliminary drilling schedule that calls for acceleration of our annual drilling activity to six or more wells by 2021. We continue to work to identify ways to streamline our permitting process in the Netherlands, and are increasingly confident that this accelerated drilling pace can be achieved over time. Our 2019 budget includes a ten (7.0 net) well drilling program in Central and Eastern Europe, which is an area in which we have recently initiated production and expect to continue to expand in the years ahead. In aggregate, our European drilling plan calls for 19 (13.7 net) wells next year, the largest drilling program we have conducted in our 21-year history in that region. We will discuss many of these future growth prospects in greater detail at our upcoming investor day in Toronto on November 27, 2018. In France, Q3 2018 production averaged 11,407 boe/d, a decrease of 2% from the prior quarter. The three (3.0 net) wells from our early 2018 drilling program in the Champotran field continue to outperform, contributing 750 boe/d in the third quarter, while other workover and maintenance activities continue to progress as planned. In the Netherlands, Q3 2018 production averaged 7,479 boe/d, an increase of 2% from the prior quarter. In mid-September, we brought the Eesveen-02 well (60% working interest) on production. The well is currently flowing at a restricted rate of 10 mmcf/d net, pursuant to the conditions of the environmental permit. The well is expected to produce at this rate through 2019. Additional activity during the third quarter was focused on maintenance and well workovers, and planning for our 2019 drilling campaign. We were recently granted a positive decision on the EIA (Environmental Impact Assessment) judgment for the two wells included in our 2019 drilling plans and are now awaiting final approval of the drilling permits before proceeding. As mentioned above, we continue to work on advancing our future drilling permits, in part by reducing our surface footprint through long departure wells from existing well pads where feasible, in preparation for an accelerated drilling program in the years ahead. As previously noted, we intend to accelerate our annual drilling program to six or more wells per year by 2021. In Ireland, production from Corrib averaged 51 mmcf/d (8,563 boe/d) in Q3 2018, a 9% decrease from the prior quarter, primarily due to a planned plant turnaround in September, which reduced production by approximately 450 boe/d net to Vermilion. Natural declines accounted for approximately 400 boe/d of the quarter-over-quarter decrease, which is consistent with our numerical simulation of reservoir performance. Our reservoir simulation model projects an average annual decline rate of approximately 15%, with a slightly higher decline rate in the early years and a slightly lower decline rate in the later years. Based on the model, we expect the field to decline at approximately 17% in 2019, decrease to 15% in 2020, and then level off to approximately 14% thereafter. We continue to focus on activities associated with the transition of ownership and operatorship from Shell to Canada Pension Plan Investment Board (“CPPIB”) and Vermilion. We anticipate receiving final approvals from the necessary authorities and closing the transaction before the end of 2018. As noted in our Q2 2018 release, although the longer than anticipated closing of this transaction will have a modest impact on our booked production from Ireland, Vermilion will still benefit from all interim period cash flows from January 1, 2017 to closing as a reduction of purchase price. We now anticipate the closing price for our incremental 1.5% working interest to be approximately â¬6 million, compared to â¬19.4 million as announced in July 2017. In Germany, production in Q3 2018 averaged 3,498 boe/d, little changed from the prior quarter. Restoration of gas processing at a non-operated gas processing facility during the quarter was largely offset by other minor unplanned downtime events. Our capital activity in Germany continues to focus on well and facility maintenance and preparatory work related to the drilling of our first operated well in Germany, the Burgmoor Z5 well (46% working interest), which is expected to commence drilling in Q1 2019. In Central and Eastern Europe, first gas production commenced from our Hungarian Mh-Ny-07 natural gas well (100% working interest) in the South Battonya concession. The well, which was drilled and tested in the first quarter of this year, was brought on production mid-August and contributed 195 boe/d to our Q3 2018 results. The production rate from this well has recently been increased to 5.3 mmcf/d (880 boe/d), which compares to our original test flow rate of approximately 5.8 mmcf/d (970 boe/d). Permitting activities have been initiated in preparation for our 2019 drilling campaign across Hungary, Slovakia and Croatia where we plan to drill ten (7.0 net) wells. The permitting process is progressing well as we work collaboratively with regulatory bodies in all three countries who continue to exhibit strong levels of support for our activities. In Hungary, further 3D seismic interpretation performed in the quarter revealed a new Pannonian gas prospect in our Ebes license, with seismic attributes analogous to our Mh-Ny-07 discovery in South Battonya. In Croatia, we initiated seismic permitting for a new 2D seismic data acquisition to be carried out in Q4 2018, following the positive results achieved on the first phase of our 2D seismic data acquisition in Q2 2018. In Australia, production averaged 4,704 bbl/d in Q3 2018, representing a 14% increase from the previous quarter primarily due to reinstatement of production following well workover activity that was successfully completed in Q2 2018. Another key well workover, which is part of our electrical submersible pump/increased fluid handling project, was completed at the end of Q3 2018 and should restore additional production in Q4 2018. Subsequent to end of the third quarter, we successfully completed a planned platform turnaround. In addition to the workover activity in Q3 2018, we continued to focus on preparatory activities associated with our upcoming two (2.0 net) well drilling campaign in Q4 2018. We have secured all necessary third party contracts and regulatory permits to drill and have prepared the majority of the materials needed for the load-out offshore. The rig is scheduled to arrive by the end of October, which should enable us to complete the planned wells by early January. As stated in our Q2 release, the early drilling is not expected to contribute any production to our 2018 results, but will allow us to save approximately $12 million in capital compared to drilling in 2019. In Canada, production averaged 57,397 boe/d in Q3 2018, representing a 31% increase from the previous quarter, primarily due to a full quarter of contribution from the Spartan assets. Production was partially offset by downtime due to third party gas plant maintenance, rate restrictions on certain wells and weather-related project delays. We drilled or participated in 65 (59.0 net) wells and brought on production 53 (49.8 net) wells in Q3 2018. We successfully executed a five rig drilling program in Saskatchewan in the quarter, drilling or participating in 60 (54.6 net) wells across our combined land base. We also operated one rig in Alberta during the quarter which included the drilling of four (4.0 net) Mannville wells and one (0.4 net) Cardium well. Results from all programs have been in line with our expectations. Canadian oil differentials widened towards the end of the quarter, which had a modestly negative impact on our realized pricing. The majority of our Canadian liquids production receives significantly advantaged pricing relative to Alberta-based light crude oil. We have no heavy crude (WCS) in our Canadian oil mix. Approximately 70% of our Canadian oil is produced in southeast Saskatchewan and receives a price referenced to LSB (Light Sour Blend). The remaining 30% of our Canadian oil production is comprised of a combination of condensate and light oil in west-central Alberta and the Kerrobert area of Saskatchewan which is price referenced to the C5+ and MSW (Mixed Sweet Blend) benchmarks respectively. In the forward market for the balance of the year, the discount on all Canadian oil products has widened significantly. However, LSB and C5+ have widened to a much lesser extent than WCS and MSW. For example, LSB in the current prompt market has strengthened by approximately US$11.00/bbl relative to MSW compared to the average for Q3 2018. Although we do not actively target natural gas in our Canadian operations, we still produce gas from high margin condensate-rich and liquids-rich gas wells and associated gas from our light oil assets. Subsequent to the quarter, AECO gas prices have improved significantly, with the forward curve indicating a Q4 2018 price that is nearly double the Q3 2018 price, representing a potential $1.00/mcf quarter-over-quarter improvement should the forward curve be realized. For every $1.00/mcf increase in AECO gas prices, we estimate an additional annual FFO contribution of approximately $50 million. In the United States, Q3 2018 production averaged 2,979 boe/d, an increase of 280% from the prior quarter, due to the production associated with the Powder River Basin acquisition and development activities during the quarter. Third quarter production also increased following the completion of our first half 2018 drilling program, as we brought the final two (2.0 net) wells of the five (5.0 net) well program on production. During the third quarter, we acquired mineral land and producing assets in the Powder River Basin in Wyoming (the “Acquisition”) for total cash consideration of approximately $186 million (the “Purchase Price”). The Acquisition is comprised of low base decline, light oil-weighted production and high-quality mineral leasehold in the Powder River Basin in Campbell County, Wyoming (the “Assets”), approximately 40 miles (65 kilometres) northwest of Vermilion’s existing operations. The Assets include approximately 55,700 net acres of land (approximately 96% working interest) and approximately 2,500 boe/d (63% oil and NGLs) of production with an estimated annual base decline rate of 13%. Approximately half of the current production comes from three federal secondary recovery units in the Muddy formation, with the remainder coming from higher-netback production from Turner Sand horizontal producers. Vermilion has identified 93 future drilling locations targeting light oil in the Turner and Parkman tight sandstones, which are expected to be developed using horizontal wells with multi-stage fracs. In these future development zones, the production and reserves are expected to be comprised of approximately 75% crude oil and NGLs. Significant infrastructure already exists in the area, including gas gathering and water source and disposal, which is expected to simplify future development. All of the production on the acquired land is operated and 93% is held-by-production (HBP), giving us control over the pace of development. The Acquisition is accretive on a per share basis for all pertinent metrics including production, debt-adjusted cash flow(2) and reserves. Making no deduction for land value, transaction metrics equate to $5.40 per boe of proved plus probable (“2P”) reserves, and $74,400 per flowing barrel of production. Alternatively, ascribing zero value to the acquired production, the total Acquisition cost is approximately $3,400 per net acre or US$2,600 per net acre. Total 2P reserves attributed to the Assets at an effective date of December 31, 2017 are 34.4(3) mmboe (67% crude oil and NGL), based on an independent evaluation by GLJ Petroleum Consultants Ltd. Using WTI strip pricing of US$72.20/bbl for the remainder of 2018 at October 15, 2018, the operating netback for the current production is estimated at approximately $28.32(1) per boe. Using a 2P finding, development and acquisition cost (based on the reserves in the GLJ report) of $11.80 per boe (including future development capital), the Assets are expected to deliver a 2P after-tax fund flows recycle ratio(2) of 2.4 times. It is anticipated that future netbacks, cash flows and recycle ratios will be enhanced by more highly oil-weighted production additions from the Turner and Parkman Sands. Using the same strip pricing assumptions as above, the cost of the Acquisition is approximately 6.4 times debt-adjusted cash flow(2) based on 2018 annualized cash flow. The transaction was financed by drawing on our revolving credit facility. Following the Acquisition, we have expanded our credit facility commitment level to $1.8 billion from $1.6 billion, maintaining unutilized revolver capacity at approximately $450 million. Pro-forma the acquisition, our projected year-end 2019 debt-to-fund flows from operations (“FFO”) ratio is forecast to be 1.43 times on October 15, 2018 strip pricing, as compared to 1.33 times prior to the acquisition. The Acquisition expands our presence in a highly-prospective basin where we already operate and are familiar with the land, regulatory, reservoir and geologic characteristics. The Acquisition also increases scale in our US business unit, providing for operational synergies with our existing Turner Sand position, a significant inventory of semi-conventional locations in a well-delineated productive area, and potential for additional consolidation and organic growth in the region. Finally, the Acquisition aligns with our sustainable growth-and-income model by accretively adding low risk assets with strong free cash flow, high netbacks, low base decline rates and strong capital efficiencies on future development. Our Board of Directors have approved an E&D capital budget of $530 million for 2019, with associated production guidance of 101,000 to 106,000 boe/d. The midpoint of our 2019 production guidance reflects year-over-year growth of 18%, or 7% on a per share basis, compared to 2018. Our 2019 capital budget will fund additional activity in all countries except Australia, where we accelerated the originally planned 2019 two-well program into Q4 2018. The 2019 program reflects a full year of development on the Spartan assets, additional capital associated with the recently acquired assets in the Powder River Basin, and also incorporates a significantly expanded drilling program in Europe. In Europe, we expect to resume drilling in the Netherlands, significantly expand our drilling program in Central and Eastern Europe, commence our inaugural drilling campaign in Germany, and continue with our low risk development plans in France. The majority of the new wells we plan to drill in Europe during 2019 will be targeting natural gas which continues to sell at a significant premium to North American gas prices. In total, we plan to drill 19 (13.7 net) wells in Europe in 2019, representing our most active drilling program in Europe over our 21-year history. This is more than three times the number of wells we drilled in 2018 and over 25% more than our previous high in Europe. In North America, our activity will continue to focus on our three core areas of west-central Alberta (condensate-rich gas), southeast Saskatchewan (light oil) and the Powder River Basin in Wyoming (light oil), all of which are products with advantaged market access and resulting lower basis differentials. We plan to drill 19.0 (16.7 net) condensate-rich wells in west-central Alberta, 143 (129.0 net) light oil wells in southeast Saskatchewan, and eight (8.0 net) light oil wells in the Powder River Basin. At October 15, 2018 strip prices, Vermilion expects to fully fund 2019 E&D capital expenditures and dividends from internally generated fund flows from operations. Excess cash generation above capital and dividend outflows is planned for further debt reduction, high-return bolt-on acquisitions, or returned to shareholders. Using the same strip prices as above, and assuming excess cash is used to paydown debt, we project a 2019 total payout of 82% with a year-end debt-to-FFO ratio of 1.43 times. Even at meaningfully lower commodity prices than the current strip, we project that we would remain self-funded for our uses of cash and that our capital program would provide high investment returns. Nonetheless, we have the flexibility to reduce our capital investment program in the event of a significant commodity downturn, and if required, we will prioritize the safety and reliability of our growth-and-income model above growth. In France, our E&D budget of $78 million is relatively consistent with our 2018 budget. Following the success of our 2018 Champotran field drilling campaign, we plan to drill an additional four (4.0 net) Champotran wells in the Paris Basin in 2019. Following successful workover campaigns in the Lugos field in the Aquitaine Basin, Vermilion has identified additional infill-drilling opportunities. Vermilion plans to drill one (1.0 net) of these infill wells in the Lugos field in 2019. In the Netherlands, our 2019 E&D capital budget of $26 million represents a 13% increase from 2018. We plan to drill two (0.9 net) wells in 2019. We were recently granted a positive decision on the EIA (Environmental Impact Assessment) judgement for the two wells included in our 2019 drilling plans and are now awaiting final approval of the drilling permits before proceeding. As part of our 2019 capital activities, we will also conduct permitting work to support our expanded drilling program for the coming years. In Germany, our E&D capital budget of $24 million represents a 50% increase from our 2018 capital program. We expect to begin drilling our first operated well (0.5 net) in Q1 2019, the Burgmoor Z5 well, in which we own a 46% working interest. This semi-development well has been included as one of the commitment wells on our farm-in with ExxonMobil Production Deutschland GmbH (“EMPG”), and represents the first drilling on the EMPG farm-in. If successful, we anticipate bringing this well on production in early 2020. Additionally, we expect to drill two (2.0 net) sidetrack injector wells from existing well bores in a waterflood within our operated oil assets, along with participating in another sidetrack well on one (0.3 net) of our non-operated gas wells. We will also continue to advance our permitting and other activities associated with the farm-in agreement, with the next drilling following Burgmoor Z5 planned for 2020. Our Central and Eastern Europe business unit is poised for significantly more activity in 2019, with a capital program of $18 million, up 50% from 2018. We expect to drill four (2.0 net) wells in Slovakia, three (2.5 net) wells in Hungary and three (2.5 net) wells in Croatia. All of these wells are targeting natural gas except for one light oil prospect in Croatia. While we expect production contributions from our Hungarian drilling in 2019, the initial drilling activity in Slovakia and Croatia is not expected to contribute any production in 2019. In Ireland, we plan a limited capital program, primarily focused on facility maintenance. We expect to become operator of the Corrib gas field before the end of 2018, subject to regulatory approvals and completion of our acquisition, along with Canada Pension Plan Investment Board, of Shell E&P Ireland Limited. During our first year as operator, we will focus primarily on the continued integration and streamlining of the operations while identifying opportunities for future optimization and development projects. In Canada, we have approved an E&D budget of $319 million for 2019, representing a 23% increase from our post-Spartan capital budget for 2018. This will mark our most active capital program ever in Canada as we focus on our first full year operating the former Spartan assets. We plan to drill or participate in 143 (129.0 net) light oil wells in Saskatchewan and 20 (17.7 net) wells in Alberta including 19 (16.7 net) Mannville wells. In the United States, our 2019 E&D capital budget of $51 million represents a 31% increase from our 2018 capital program. We plan to drill six (6.0 net) wells on our newly acquired lands, referred to as the Hilight assets, in addition to the drilling of two (2.0 net) wells in our legacy East Finn asset in the Powder River Basin in Wyoming. Our 2019 E&D budget of $13 million in Australia will focus on facility maintenance following the acceleration of our originally planned 2019 drilling campaign into Q4 2018. Our intention is to manage production to an average level of approximately 6,000 bbl/d. *2019 Budget reflects foreign exchange assumptions of CAD/USD 1.27, CAD/EUR 1.51 and CAD/AUD 0.92. Our production plan by business unit can be found in our November 2018 investor presentation on our website. Vermilion hedges to manage commodity price exposures and increase the stability of cash flows, providing additional certainty with regards to the execution of our dividend and capital programs. In aggregate, we currently have 36% of our expected net-of-royalty production hedged for Q4 2018. Over half of the Q4 2018 corporate hedge position consists of two-way collars and three-way structures, which allow participation in price increases, up to contract ceilings. We have currently hedged 62% of anticipated European natural gas volumes for Q4 2018. In view of the compelling longer-term forward market for European gas, we have also hedged 56% and 27% of our anticipated 2019 and 2020 volumes at prices which will provide for strong project economics and free cash flows. In addition, we have hedged 30% of anticipated North American gas volumes for Q4 2018. At present, our philosophy is to keep our oil hedges shorter-term, in view of the backwardation in the oil futures curve. As of October 23, 2018, 16% of our oil production is hedged for 2019. We will continue to add to our hedge positions in all products as suitable opportunities arise. Vermilion received a top quartile ranking for 2018 for our industry sector in RobecoSAM’s annual Corporate Sustainability Assessment (“CSA”). The CSA analyzes sustainability performance across economic, environmental, governance and social criteria, and is the basis of the Dow Jones Sustainability Indices. We believe the integration of sustainability principles into our business is the right thing to do, increases shareholder returns, and reduces long-term risks to our business model. This rating demonstrates our commitment to maintaining leadership in sustainability and ESG performance. Further demonstrating Vermilion’s commitment, our Board of Directors has established a Sustainability Committee to provide oversight with respect to sustainability policy and performance. Members of the committee include independent directors as follows: Tim Marchant (Chair), Carin Knickel, Steve Larke and Bill Roby. Non-GAAP Financial Measure. Please see the “Non-GAAP Financial Measures” section of Management’s Discussion and Analysis. “Debt-adjusted cash flow” represents fund flows from operations prior to the impact of interest charges. Management considers debt-adjusted cash flow to be a useful measure to compare transaction metrics on an unlevered basis. “After-tax fund flows recycle ratio” represents the after-tax netback per boe divided by FD&A costs in dollars per boe. Management considers after-tax fund flows recycle ratio to be a useful measure of capital efficiency. Estimated total proved and proved plus probable reserves attributable to the Assets as evaluated by GLJ Petroleum Consultants Ltd. in a report dated August 7, 2018 with an effective date of December 31, 2017, in accordance with National Instrument 51-101 – Standards of Disclosure For Oil and Gas Activities of the Canadian Securities Administrators, using the GLJ (2018-01) price forecast (the “GLJ Report”). On October 30, 2017, we released our 2018 capital expenditure guidance of $315 million and associated production guidance of between 74,500 to 76,500 boe/d. On January 15, 2018, we increased our capital expenditure guidance to $325 million and production guidance to between 75,000 to 77,500 boe/d to reflect the post-closing impact of the acquisition of a private southeast Saskatchewan and southwest Manitoba light oil producer. On April 16, 2018, we increased our capital expenditure guidance to $430 million and production guidance to between 86,000 to 90,000 boe/d to reflect the post-closing impact of the acquisition of Spartan Energy Corp. On July 30, 2018, we increased our capital expenditure guidance to $500 million to reflect the acceleration of our Australia drilling campaign into Q4 2018, and to a lesser extent to account for the impact of foreign exchange fluctuations on our Canadian dollar capital levels. As of October 25, 2018, we are increasing our capital expenditure guidance to $510 million to reflect additional capital activity associated with the assets acquired in the Powder River Basin in August of 2018. We released our 2019 capital budget and related guidance concurrent with the release of our Q3 2018 results. Vermilion will discuss these results in a conference call on Thursday, October 25, 2018 at 9:00 AM MST (11:00 AM EST). To participate, call 1-888-231-8191 (Canada and US Toll Free) or 1-647-427-7450 (International and Toronto Area). A recording of the conference call will be available for replay by calling 1-855-859-2056 and using conference ID 4254459 from October 25, 2018 at 12:00 PM MST to November 8, 2018 at 9:59 PM MST. You may also access the audio webcast at https://event.on24.com/wcc/r/1847286/09B4BCE44366A1E0B68513CB800BBEED. The webcast link can be found on Vermilion’s website at http://www.vermilionenergy.com/ir/eventspresentations.cfm under Upcoming Events. Vermilion will be hosting an Investor Day in Toronto, Ontario on November 27, 2018 to provide an overview of our business operations and future growth prospects. The event will include presentations by senior management from each of our business units. Details of the webcast for the event will be provided closer to the date of the event. Vermilion is an international energy producer that seeks to create value through the acquisition, exploration, development and optimization of producing properties in North America, Europe and Australia. Our business model emphasizes organic production growth augmented with value-adding acquisitions, along with providing reliable and increasing dividends to investors. 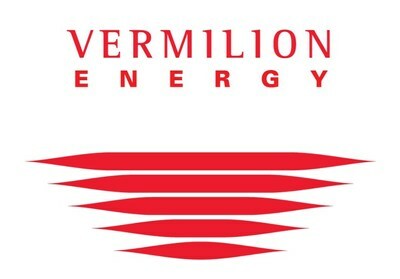 Vermilion is targeting growth in production primarily through the exploitation of light oil and liquids-rich natural gas conventional resource plays in Canada and the United States, the exploration and development of high impact natural gas opportunities in the Netherlands and Germany, and through oil drilling and workover programs in France and Australia. Vermilion currently holds an 18.5% working interest in the Corrib gas field in Ireland. Vermilion pays a monthly dividend of Canadian $0.23 per share, which provides a current yield of approximately 7.5%. Vermilion’s priorities are health and safety, the environment, and profitability, in that order. Nothing is more important to us than the safety of the public and those who work with us, and the protection of our natural surroundings. We have been recognized as a top decile performer amongst Canadian publicly listed companies in governance practices, as a Climate Leadership level (A-) performer by the CDP, and a Best Workplace in the Great Place to Work® Institute’s annual rankings in Canada, the Netherlands and Germany. In addition, Vermilion emphasizes strategic community investment in each of our operating areas. Certain statements included or incorporated by reference in this document may constitute forward looking statements or financial outlooks under applicable securities legislation. Such forward looking statements or information typically contain statements with words such as “anticipate”, “believe”, “expect”, “plan”, “intend”, “estimate”, “propose”, or similar words suggesting future outcomes or statements regarding an outlook. Forward looking statements or information in this document may include, but are not limited to: cash flows and capital expenditures including, without limitation, statements regarding our 2019 budget; business strategies and objectives; future production and production levels (including the timing thereof); permitting, workover and maintenance, exploration and development plans; drilling plans and schedules; the timing of the anticipated closing of the transition of ownership and operatorship of assets from Shell E&P Ireland Limited and the expected impact of that closing; expected benefits of Vermilion’s acquisition of assets in the Powder River Basin in Wyoming; acquisition and disposition plans (including the costs, timing and completion thereof); statements regarding our hedging activities and plans; the ability of Vermilion to maintain its current dividend; the incurrence and rate of income taxes; tax pools and future income taxes; statements regarding our ability to finance planned capital expenditures, dividends, and abandonment and reclamation expenditures; and the timing of regulatory proceedings and approvals. Such forward looking statements or information are based on a number of assumptions, all or any of which may prove to be incorrect. In addition to any other assumptions identified in this document, assumptions have been made regarding, among other things: the ability of Vermilion to obtain equipment, services and supplies in a timely manner to carry out its activities in Canada and internationally; the ability of Vermilion to market crude oil, natural gas liquids, and natural gas successfully to current and new customers; the timing and costs of pipeline and storage facility construction and expansion and the ability to secure adequate product transportation; the timely receipt of required regulatory approvals; the ability of Vermilion to obtain financing on acceptable terms; foreign currency exchange rates and interest rates; future crude oil, natural gas liquids, and natural gas prices; and management’s expectations relating to the timing and results of exploration and development activities. Although Vermilion believes that the expectations reflected in such forward looking statements or information are reasonable, undue reliance should not be placed on forward looking statements because Vermilion can give no assurance that such expectations will prove to be correct. Financial outlooks are provided for the purpose of understanding Vermilion’s financial position and business objectives, and the information may not be appropriate for other purposes. Forward looking statements or information are based on current expectations, estimates, and projections that involve a number of risks and uncertainties which could cause actual results to differ materially from those anticipated by Vermilion and described in the forward looking statements or information. These risks and uncertainties include, but are not limited to: the ability of management to execute its business plan; the risks of the oil and gas industry, both domestically and internationally, such as operational risks in exploring for, developing and producing crude oil, natural gas liquids, and natural gas; risks and uncertainties involving geology of crude oil, natural gas liquids, and natural gas deposits; risks inherent in Vermilion’s marketing operations, including credit risk; the uncertainty of reserves estimates and reserves life and estimates of resources and associated expenditures; the uncertainty of estimates and projections relating to production and associated expenditures; potential delays or changes in plans with respect to exploration or development projects; Vermilion’s ability to enter into or renew leases on acceptable terms; fluctuations in crude oil, natural gas liquids, and natural gas prices, foreign currency exchange rates and interest rates; health, safety, and environmental risks; uncertainties as to the availability and cost of financing; the ability of Vermilion to add production and reserves through exploration and development activities; the possibility that government policies or laws may change or governmental approvals may be delayed or withheld; uncertainty in amounts and timing of royalty payments; risks associated with existing and potential future law suits and regulatory actions against Vermilion; and other risks and uncertainties described elsewhere in this document or in Vermilion’s other filings with Canadian securities regulatory authorities. The forward looking statements or information contained in this document are made as of the date hereof and Vermilion undertakes no obligation to update publicly or revise any forward looking statements or information, whether as a result of new information, future events, or otherwise, unless required by applicable securities laws. This document contains metrics commonly used in the oil and gas industry. These oil and gas metrics do not have any standardized meaning or standard methods of calculation and therefore may not be comparable to similar measures presented by other companies where similar terminology is used and should therefore not be used to make comparisons. Natural gas volumes have been converted on the basis of six thousand cubic feet of natural gas to one barrel of oil equivalent. Barrels of oil equivalent (boe) may be misleading, particularly if used in isolation. A boe conversion ratio of six thousand cubic feet to one barrel of oil is based on an energy equivalency conversion method primarily applicable at the burner tip and does not represent a value equivalency at the wellhead. Financial data contained within this document are reported in Canadian dollars, unless otherwise stated.